This initial problem lead to a delay in our usual booking procedure, and although the play dates were already booked we found we were unable to book our normal venue, The Plaza, for any of our required set build dates or technical rehearsals in the way we have previously. We were offered week days, but as we are a community society with a cast and crew of whom most work full time, we were unable to use the Plaza at these times. We have been further hit with the challenge that the Plaza has requested TADS remove their equipment, including stage extension and scenery, from the Plaza on a permanent basis. Finding time to do this (and spaces to move the equipment to) and rehearse for an Autumn play has proved too much for the Society and we have subsequently made the decision to move the Autumn play to the spring. ‘Just Between Ourselves’ will be performed at the Plaza from Wednesday March 20th – Saturday March 23rd 2019. 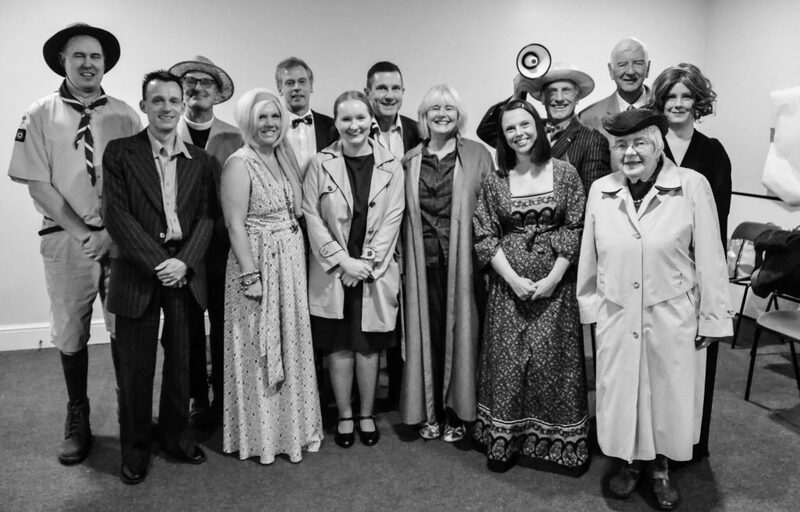 However, so we do not leave our audience without anything this Autumn, we would like to invite you to a Murder Evening and Supper on Saturday November 17th. More details will be posted soon. We would like to thank you for your patience through what is a difficult time for the Society, and if you are available for a few hours on Sunday November 18th we would gratefully appreciate your assistance in clearing 20 years of accumulated props, equipment, costume and staging out of the Plaza. We can’t pay you but can offer you copious amounts of tea and biscuits!